Film-Arcade.net: Get Entangled with the Official Trailer for "Entanglement"
Get Entangled with the Official Trailer for "Entanglement"
Dark Star Pictures recently released the official trailer for their upcoming film "Entanglement". The film stars Thomas Middleditch (HBO's "Silicon Valley," Search Party, The Final Girls), Jess Weixler (Teeth, AMC's "The Son"), and Diana Bang (The Master Cleanse, The Interview, A&E's "Bates Motel"). 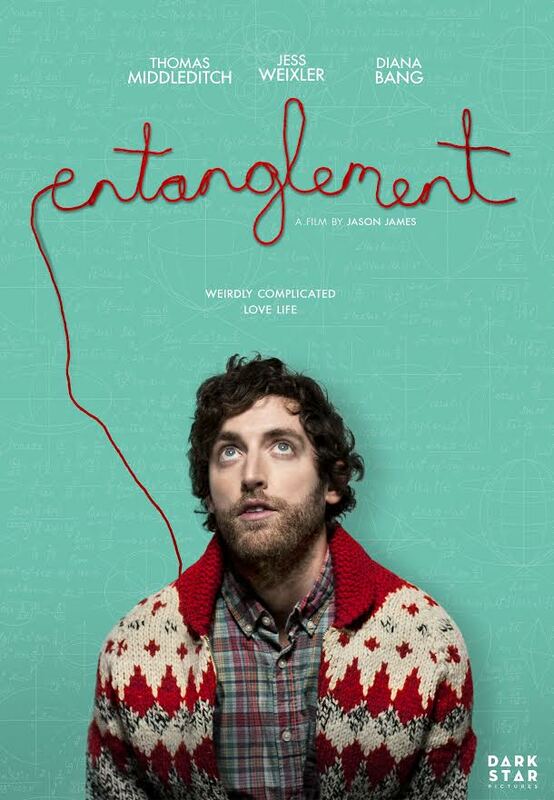 "Entanglement" hits theaters in limited release and VOD on February 9th. ENTANGLEMENT stars Thomas Middleditch (HBO's "Silicon Valley," Search Party, The Final Girls), Jess Weixler (Teeth, AMC's "The Son"), and Diana Bang (The Master Cleanse, The Interview, A&E's "Bates Motel").